As I head west (to Los Angeles for a few days of meetings), I started to re-read a few recent M&A outlooks for 2013. Admittedly, I have a pretty long collection of white papers, analyst reports and opinion pieces in my Dropbox thank to our recently wrapped up Acquire or Be Acquired conference. As I dig through the various projections, it strikes me that capital, liquidity and credit have improved at many U.S. banks since I rejoined the financial community in September of 2010. Now, I draw no parallel to my return and this improvement — but do take comfort in hearing so many bank executives and board members voice more and more optimism about their months ahead. That said, when I look back at 2012, I think few would contest that it was a year plagued with limited loan growth & intense margin pressure. I share this as I think about the factors that will spark more M&A deals in 2013 than 2012. Fortuitously for today’s piece, I have some “inside” knowledge to share. 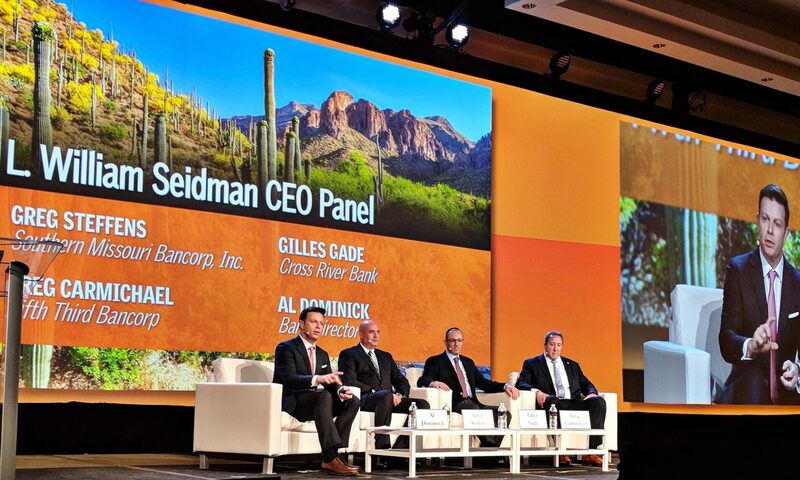 You see, with more than 700+ joining us at the Phoenician at the end of January, I had the chance to moderate a panel composed of two attorneys and two investment bankers. 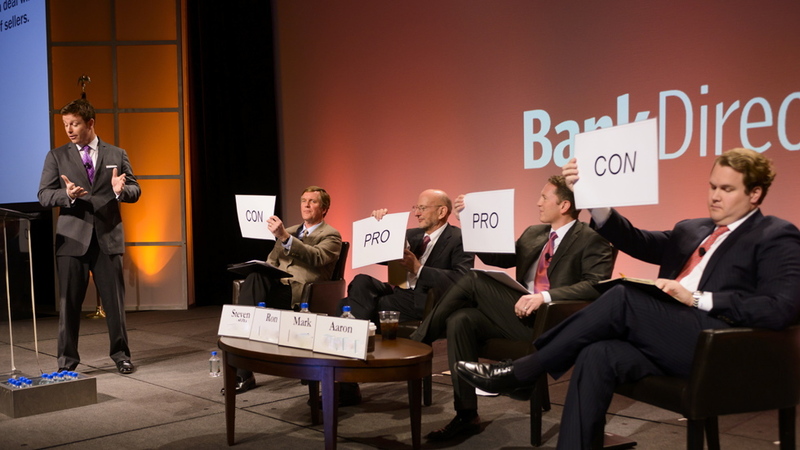 I asked each to take a stance — pro or con — on the following statements before opening things up to the audience (of bank CEOs, CFOs, Chairmen and board members from 275 community banks). What did we find? 68% responded that 2013 will be the best year for bank M&A since the financial crisis of 2008. It was a near dead heat (52% taking the con) that pricing for a well performing bank less than $1 billion will not exceed 1.25X tangible book or less. 58% voted that the primary obstacle to doing a deal will be unrealistic price expectations of sellers. 60% voted that banks that are thinking of selling would be better off waiting until 2014 when valuations will be higher that they are likely to be in 2013. For more on this three-day conference, I encourage you to read “A Postcard from AOBA 2013.” Penned by our editor, Jack Milligan, his gift with the written word writes circles around my amateur efforts.